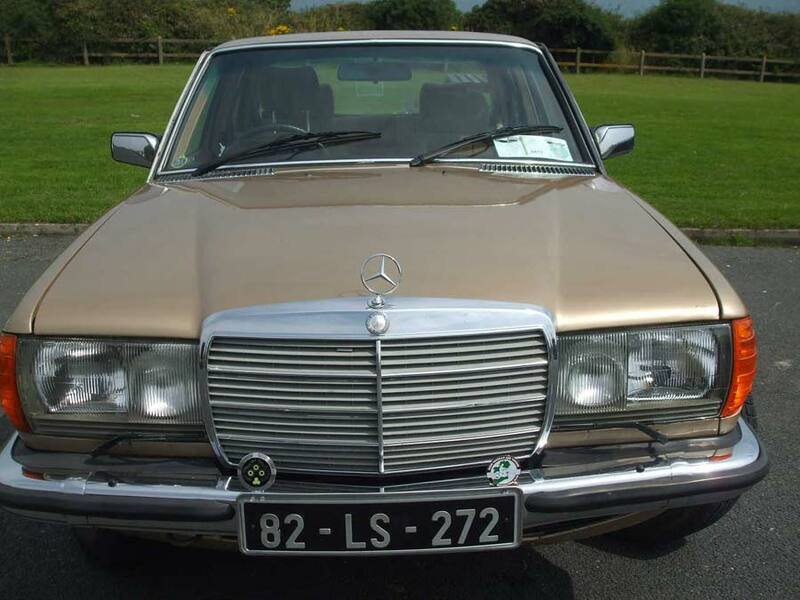 October 30th. 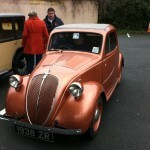 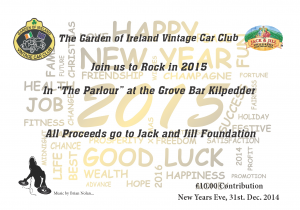 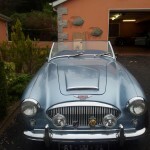 The Garden of Ireland Vintage Car Club’s Pumpkin Run leaving The Grove Bar Delgany at 11am. 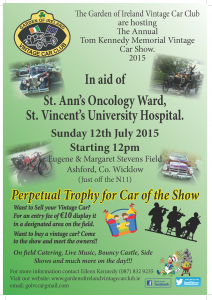 The Clubs Annual Tom Kennedy Memorial Vintage car Show in aid of St. Anne’s Oncology Ward at St. Vincent’s University Hospital will take place on Sunday, July 12th. next, starting at noon in Eugene & Margaret Stephens field in Ashford Co. Wicklow, just of the N11. 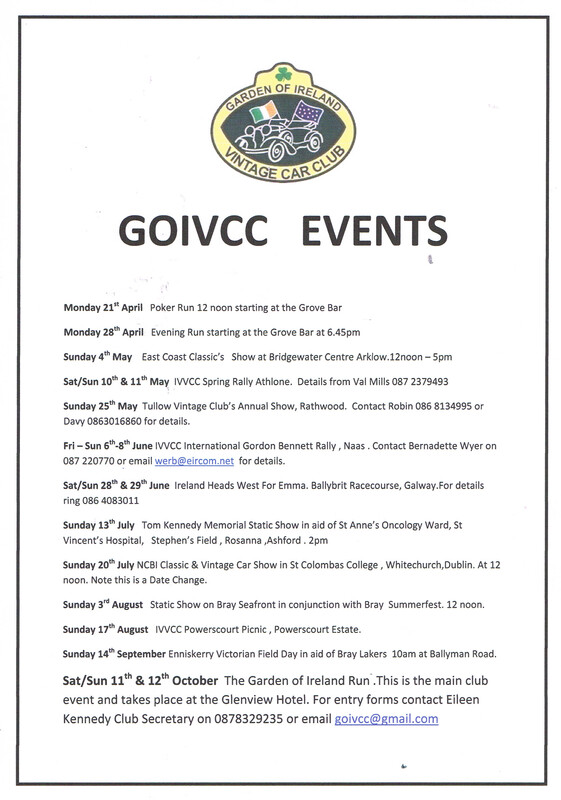 as well as a Perpetual Trophy for car of the show being up for grabs sponsored by The Kennedy Family, there will be a cars-for-sale section, catering, music, kids entertainment and much more on the day. 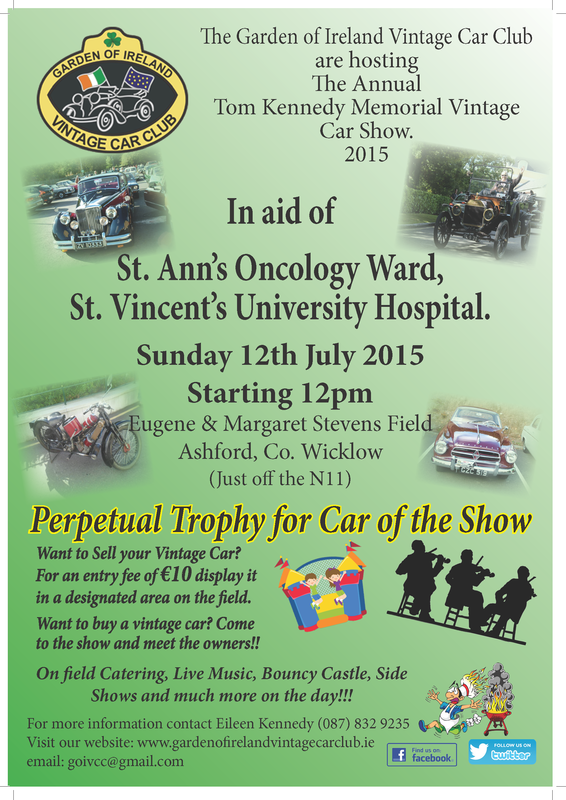 This has become a very popular and well supported event in the county and does much to create awareness of the services of this unit in St. Vincents University Hospital who are extremely grateful for the proceeds of this event which will spefifically go towards the purchase of equipment for this ward. 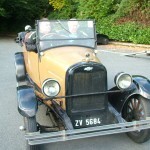 The club would like to thank most sincerely Eugene and Margaret Stephens for the use of their field and look forward to seeing you all on the day. 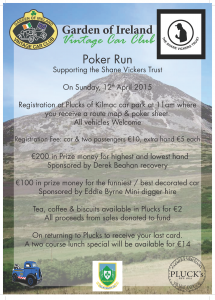 Poker Run in aid of Shane Vickers Trust. 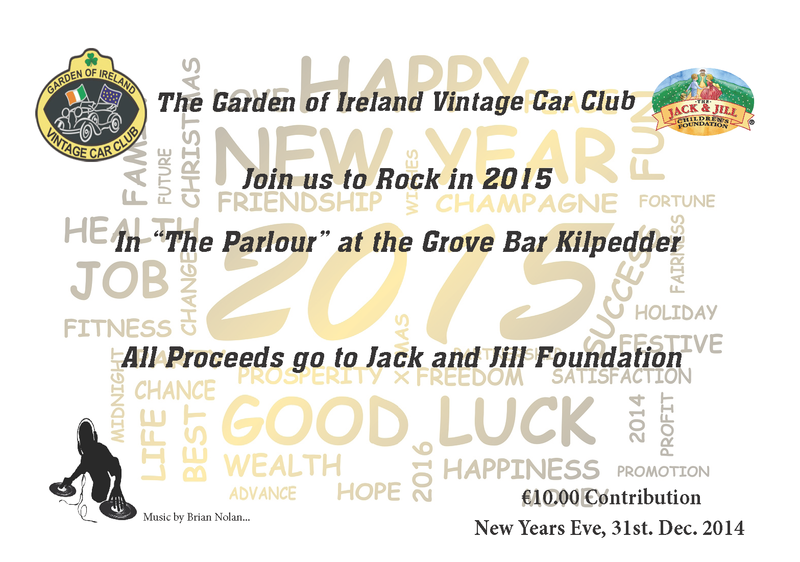 Starting at Plucks of Kilmac… at 11am. 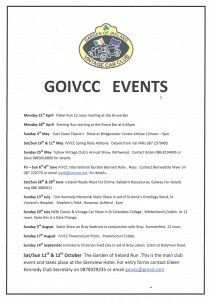 Click the Image for a Larger Look…..